At Normandy Primary School, we like to develop pupil's independence skills for the future; it's one of our core values. We are proud of the many opportunities that we offer from class monitor, House Captain, School Council member to litter pickers to name a few. Year 6 vote for their House Captains with any child in year 6 able to stand for election. The children vote for who they think can represent their house in a positive and encouraging way. 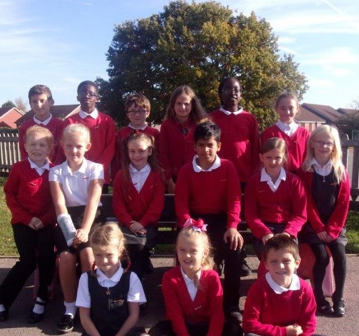 Congratulations to the following children for becoming joint House Captains for this year. Mrs Whittington looks forward to being invited to the School Council meetings and listening to the children's ideas to develop the school and also planned special events.